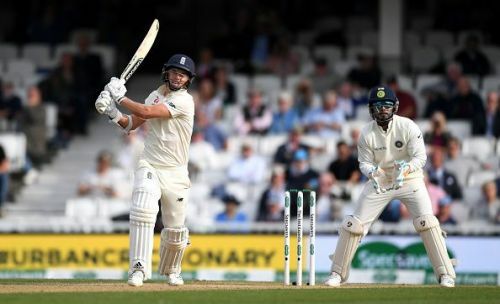 After the end of the Southampton Test, if you were retrospecting on what went wrong for India this time around, a host of probable reasons might have popped up. On top of the list, in all probability, you have put India's batting woes. And understandably so. After all, besides Virat Kohli and the occasional knock from Pujara and Rahane, who else contributed enough? No one. But then India always only fell short by just that thread of a margin, except for probably the Lord's Test. Apart from that, India always fell agonizingly short. What made the difference then? What separates a good touring side from a great one? If you look at both the sides, they were probably very similar compositions. Barring one, intriguingly huge difference. The lower middle order. England's lower middle order almost always clicked, while India's, almost never did. That is probably what turned out to be India's undoing. Sam Curran played a huge role with the tail, to get England back in the game from tough situations. The lower middle order, is the most important element of a successful touring side. Probably even more important than the openers. This is because when you are touring, especially in countries like Australia and England, conditions are such that bowlers, the quick ones more so, can thrive. So there are bound to be turbulent spells by the fast bowlers that can run through your top order in a matter of minutes. Like Woakes and Anderson's spell in the Lord's Test, Ishant Sharma's spell that got India back into the game in the 5th Test. There is nothing you can do about it. It is bound to happen in a country like England. The onus then comes on to your middle and lower order. How they respond to the situation, will decide your fate. A strong lower middle order will put on a fight and take you to a respectable total. A weak one will crumble under pressure and you will have a dismal batting card to show for it. It was something that was missing from India's armory, barring the last Test, the ability to put on a fight. Every time the bowlers had England on the mat, their tail responded strongly by hanging in there and taking their team to a respectable total. Sam Curran, Jos Butler, Chris Wakes, Adil Rashid made sure that they didn't go without a fight. While Pant, Pandya, Ashwin and Co. succumbed to the pressure nearly every time. Once your top order is gone, you have to play positively and take the fight to the opposition and not get crushed under your own weight. Thankfully, Virat Kohli somehow managed to keep the innings together most of the time. When he couldn't, the result was a collapse. You have the Lord's Test to show as evidence for the same. Jadeja played a good hand to take India to a respectable total in the last Test. Though India needs more such innings from the tail if they want to win overseas. This goes to show that a revamp is required in the tail. You need someone with a Curran-like attitude to bat around the tail. Jadeja displayed that attitude in the last Test but it was too late. If your last four or five batsmen can add 150-200 runs in a test match, then the fielding team can go bonkers in an attempt to get you out. It will also get you to a safe total, if you've had a top order collapse. After this series loss, and an Australia tour coming up, this is a problem that the team management will be looking to solve at the earliest. 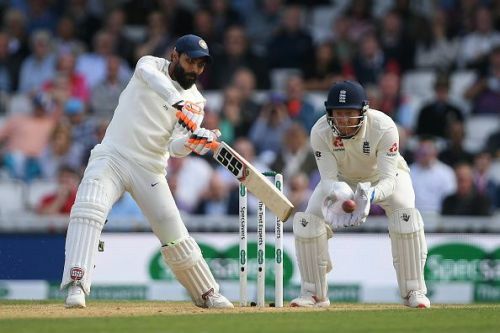 Though the last Test was an improvement from the earlier ones, as Hanuma Vihari and Jadeja showed some promise, doing much better than Ashwin and Pandya did, it remains to be seen whether they can solve this problem in the long run or not. Can the version 2.0 of Fab Five emerge from our current test squad?